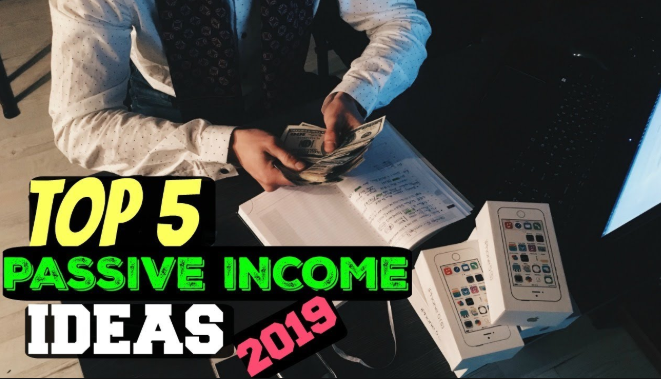 Passive income may seem like an unrealistic dream, but there are actually a number of ways to make passive income. The key is finding the right opportunity for you. I want to make that easier by giving you a list of passive income ideas. But first, we must understand what is passive income. There is a lot of chatter in the personal finance world about passive income, why you need it and how great it is. But what is it and why is it such a topic of conversation? 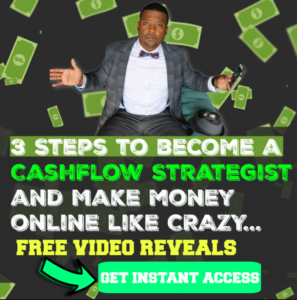 Every time you upload a video on YouTube, you have the potential to make money. Remember that Google owns YouTube, and Google is the king of online ads. YouTube will pay you every time someone clicks on one of the advertisements that appear before your video begins or clicks on one of the banner-type advertisements that pop on videos while they’re playing. But for that to happen, you have to set yourself up on the back end. Of course, you need to have a regular YouTube account first. Then you enable the monetization feature and connect your YouTube account to a Google AdSense account. You get paid more from “rollout ads,” which are those that appear before a video, than “banner ads,” which pop up during the video. You also get a much smaller amount based on the number of views. If somebody watches an ad for at least five or 30 seconds you get paid more. You could potentially make several thousand dollars monthly, which could replace a full-time job income. For that to happen, you’ll need to get a million views on videos with rollout ads. Of course, as a first-time YouTuber, you’ll need multiple videos to reach those viewership numbers. But it’s possible even if it’s a part-time job. If you don’t want to make it full-time on YouTube, you could use it as a way to make some extra cash on the weekends. Generally, people join a membership site because it will simplify their life, speed up the learning curve, and/or give them greater detail on how to do something than general content offered online. For example, there are many online marketing membership sites that delve down into specific topics, such as how to write a successful Facebook ad, maximize Instagram and/or repurpose content across marketing platforms. 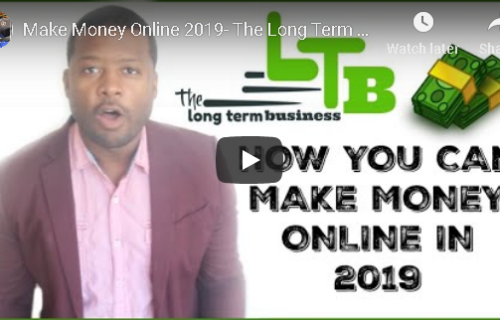 Making money online has become so easy that it seems like everyone is doing it. Why shouldn’t you when it is quite simple and, most of all, beneficial? It doesn’t mean that you need to quit your job to start selling products or services online. You can do both but to make sure that your online endeavor yields positive results, you need to know what approach to take. Many people opt for selling both services and products online. If you have decided to sell products only, there is one question that you need to ask yourself before you head off on your journey. Are you going to sell digital or physical products? Most people use Facebook to share photos and stay in touch with friends, but did you know that you can use it to earn money as well? 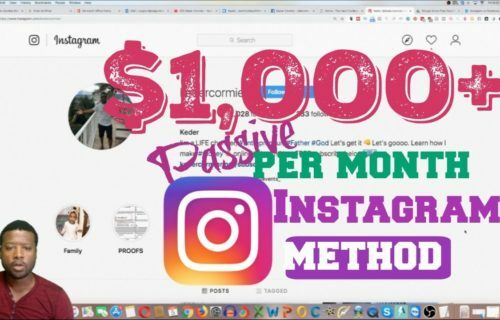 There are lots of ways to earn money on Facebook, from using link-type advertising programs to creating a fanpage and then selling the posts. You can even use Facebook to advertise and sell your products. You can create a course to host on your own site, put a course up on a website like Udemy, where you earn money on each course that’s sold. You could also build a course in conjunction with a company like The Great Courses, where you could earn an advance and royalties. You can also create a course that you host on your own website. You’ll retain all the earnings for your sales, but of course, you’ll need to drive the traffic. If you’ve got a course that will appeal to specific companies or industries, you may be able to get a licensing deal. 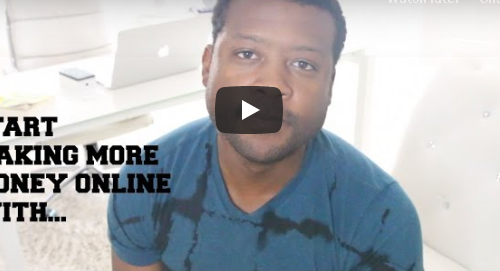 These are 5 easy simple ideas that I have followed to make Money Online. Now as I mention, on the video above I go into more details on how the whole process work. So be sure to watch the video above, so you’ll get more shinning on the Idea.